Yara is a signature syntax and scanning engine, it’s available with a library or a bunch of scripts. 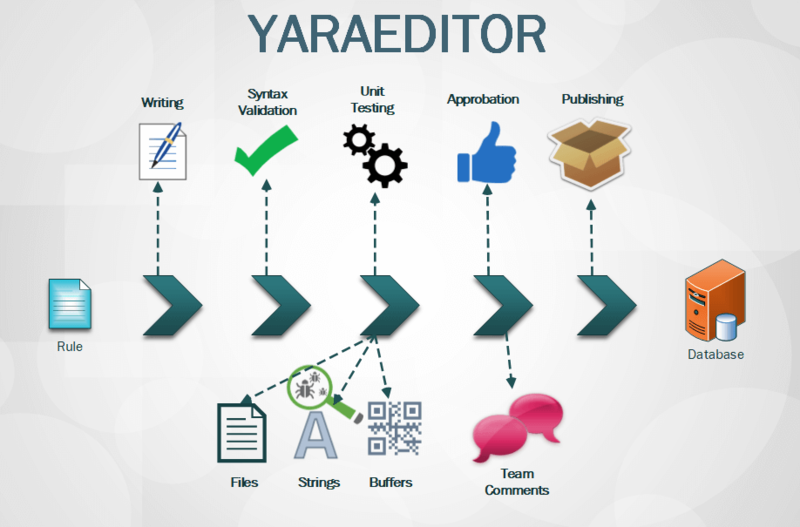 We, at Adlice Software, are specialized in making Yara easy and convenient to use. After a desktop application, we are now offering a full website framework to write, organize and test your rules directly from your browser. MRF (Malware Repository Framework) is a private framework able to centralize all your malware files into the same place, as well as offering file analysis and 3rd party scanners.